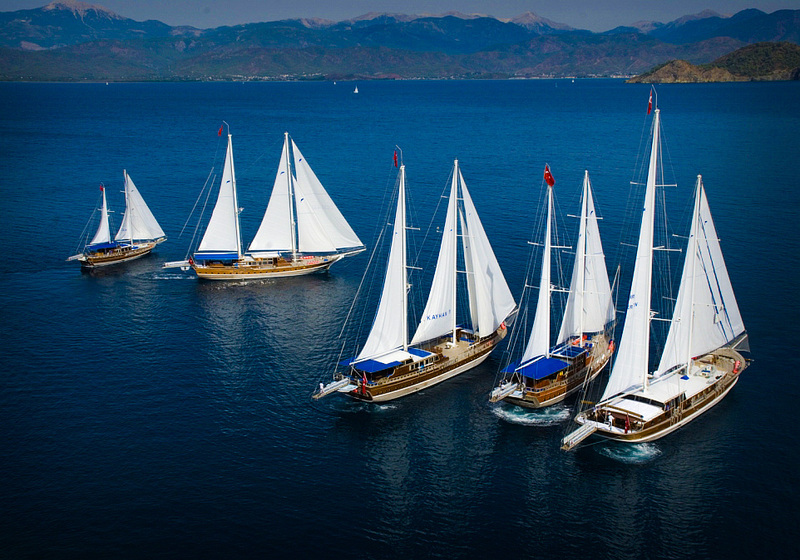 Luxury gulet cruise in Turkey service: Here is how we help! Luxury gulet cruise in Turkey service: Here is how we help! Let us help you with organizing luxury cruise of your dreams! Discover how to have the best cruise holidays of your life! We are a supportive enthusiastic company offering a full spectrum of services with best aims to help achieve the best luxury cruise experience of your life. This is why we will gather all your wishes, questions, and expectations and we will get back to you with the personalized suggestions on what kind of cruise will suit you and your friends or family. Our main goal is to provide you with a memorable experience with maximum efficiency in all aspects of yacht management. We will truly do our best to assist you as soon as possible! We continuously monitor availability, ensure high-end quality, and the prices of well over 500 gulet yachts. However, we choose 50 premium quality luxury yachts we have now in our offer. However even with 50 luxury yachts in our offer finding perfect one can be a bit overwhelming for clients, so let us help you! 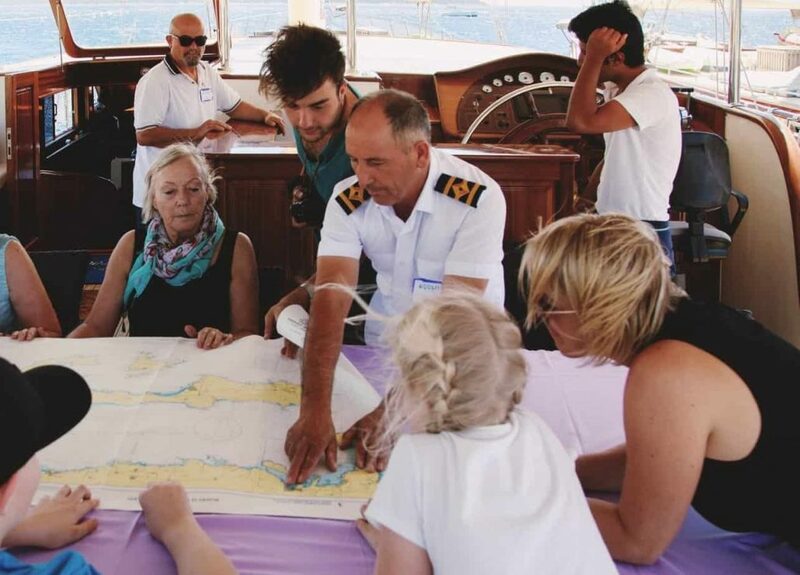 Finding the ideal fit for your group that matches your expectations is more of an art than anything else and you can fully trust our yacht wizards with that. We will persist in looking until we find a yacht that you will immediately fall in love when you see it! We+ll take all your wishes into careful consideration in order to provide you with the best yacht and cruise experience ever. Whether you are looking to explore the Turkish coastline or seek for a mixture of Turkish cities with ancient Greek islands, the decision where you go is completely up to you! On board, you will be provided by high-end service, an incredible level of comfort and luxury, witness and access some of the exquisite locations, beaches and secluded bays in Turkey. Our mission is to make it happen for you and ensure that it’s a truly outstanding vacation. The most exquisite locations you can’t afford to miss! Popular local and touristic activities – that suit your group preference. How to combine it all together so that you get the most out of your cruise. This preparation phase starts five weeks before your cruise date, so you have more than enough time to plan everything out. We give special attention to pleasing your taste buds. Before the cruise starts, our experts will work closely with you and gather all the information about your food and drink preferences, allergies, strong dislikes, or any special occasions you might be celebrating (birthdays, anniversaries, etc.). Furthermore, our beloved Turkish gulet expert Feride will proceed with picking up the preference list and Crew list and go to purchase the food from our well-trusted suppliers, fishermen, and butchers. 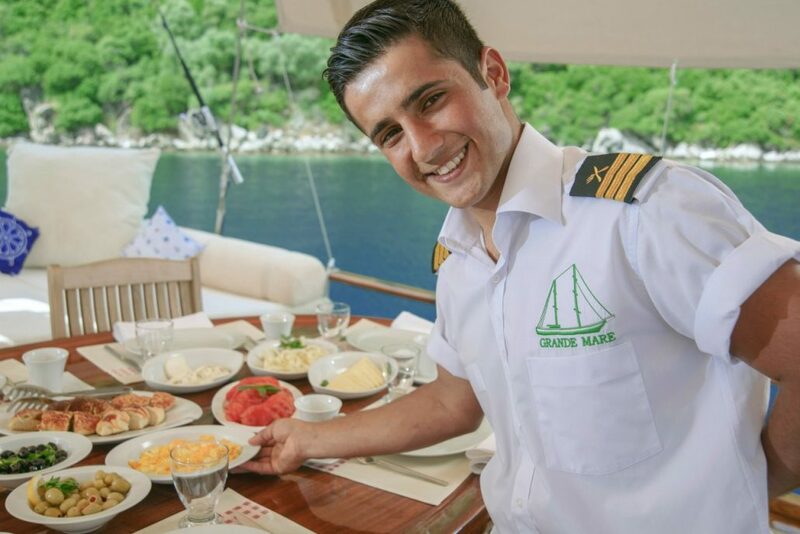 After gathering food, we will create a personalized weekly menu according to your choices with Chef on board who will make and serve you with exquisite meals. We will make sure none of the details gets lost on the way to the captain, chef, and other deckhands. We’ll do our best to ensure your cruise check-in is fast, smooth, and pleasant! We put a lot of energy into making sure your first impression is perfect. We leave nothing to chance so anything you require, desire, or think of, all you need to do is reach out to our concierge department. We’ll asist you as soon as possible! Our work is not finished until you happily step back on the plane. We can help you with transfers or any activities you might need!